We are a place to bring your family and come have delicious food made in our kitchen. We are a place you can visit our kitchen and watch Chef Jeff make your food. We are a place where our community can join together. We are a place where we welcome all, from both near and far. We are a place you can ESCAPE. Drew Lucht and Keri Whitehurst are also owners of Ray's Escape. 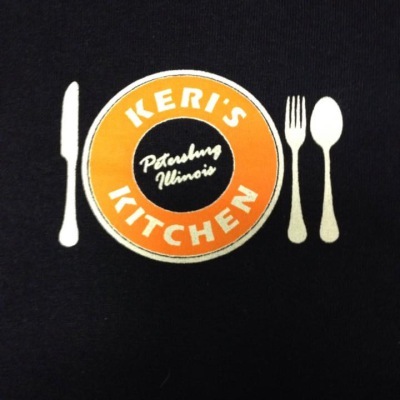 They own the successful restaurant next door which is Keri's Kitchen . They are excited to bring a unique dinner experience to Menard County that will compliment their place next door which is currently serving breakfast and lunch. Jeff Ray is one of the owners and the head chef. 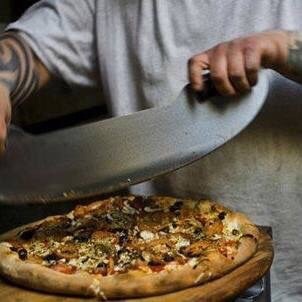 He studied at Western Culinary Institute in Portland, Oregon where he later opened his first restaurant Good Neighbor Pizzeria. Good Neighbor Pizzeria opened in 2007 and transformed the Woodlawn neighborhood in Portland's northeast area. Jeff moved back to Illinois mid 2015 in order for his son, Henry, to be around family here in Menard County. Jeff has always wanted to move back to Petersburg and open a restaurant in his home town and now he is doing just that. He is assisted in his journey by his partner Trisha Rebbe who is also from Menard County. She will be acting as Ray's Escape's business manager and event coordinator.